From Homeless in Homestead, to Model in Manhattan: The True Story of Railan Russo. 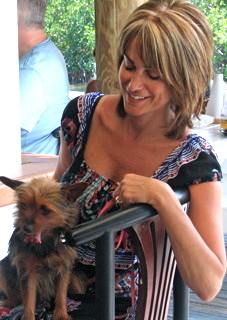 Rose Russo is a friend and a true advocate for man’s best friend. If her name sounds familiar, it is because she is very active among the New York City circle of animal advocates. A former NYPD Detective, Rose’s life was changed forever by the events of 9/11. 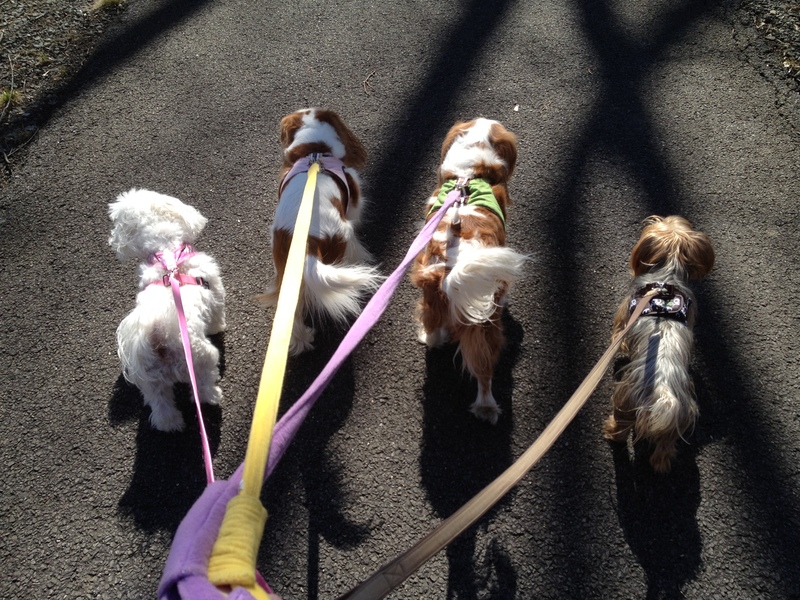 Rose now dedicates her life to helping dogs as a trainer, groomer, foster and rescuer. To read more please see BLOG ARCHIVES of August 26,2010. 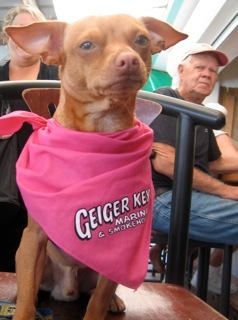 Recently, Rose told me the story of a little terrier she rescued while staying in Homestead, Florida. Rose tells it so well, I am just going to let her do all the talking! BLOG NOTES: I just want to say a quick congratulations to Sean Martin and his Kids Adopt a Shelter Spring Drive. Hopefully we can provide feedback soon. I also want to point out that Project Pets Spay, Neuter, Love has a new website http://spayneuterlove.org/ . Every once in awhile, I will hit their donate button and donate a dollar or two. Just imagine how much money could be raised for the Spay and Neuter of more dogs and cats if everyone did the same. On Friday, January 20th, at approximately 6:30 PM, we packed the Ford Explorer, punched an address into the GPS and headed to the Sunshine State. I took the wheel and Penny-Lane and Lily-Pads were onboard for the drive. Originally, we had planned to leave early Saturday morning, but Mother Nature planned otherwise. With a pending storm bearing down on the North East, Saturday morning, we skipped the good night rest and left Friday night. Of to Florida we went. Even with the few stretches of bad weather we continued straight through only making a few stops to nap and freshen up. I had never been to Homestead, Florida; I actually never even knew it existed. Because we had to get back to New York for Westminster our time was limited. We were meeting Designer Kiki Hamann for a Pre-Westminster dress fitting. Kiki Hamann is one of the premier designers for the event. The ride to Kiki’s home was astonishing, the cows, the farms and all the stray dogs. Once I arrived at Kiki’s home I learned that Homestead was a wonderfully close community that is unfortunately burdened with the reputation of being a place to abandon dogs. Many individuals end up caring for seven, eight and more dogs. Kiki herself has 8 dogs, most she has rescued. I remember growing up in Brooklyn and seeing dogs walking in packs, but we are in the 21st century I thought those days were long gone. I couldn’t believe my eyes, and of course my heart went out to them. At Kiki’s home, I was greeted not only by Hamann’s 8 dogs but by one little guy lurking near the fence. I think he was checking us out. The next morning, while the Hamanns had to run some errands, I stayed behind. Well back came our little visitor,, and it seemed as if he wanted to come over and play but being cautious he kept his distance. As he saw me sitting in the field, playing and rolling around the grass with my dogs, he became more curious. He was so adorable looking, and I knew behind all that smell and crusted matted hair, he had a beautiful coat. When the Hamanns came home, the little guy had been groomed and looked like a brand new dog. Kiki couldn’t believe her eyes, she told me she had been trying for months to get close to him and pet him but he kept his guard. I took the task of grooming many stays that day and It was priceless watching their faces during and after being groomed and pampered. I would do it again and again, because every fur baby needs to be groomed and pampered once in their lifetime. As my visit grew longer, he began to stay with. I would go to sleep and wake and he would be there, I would go out and come back and he would come looking for us….OMG what to do? As my departing date was getting near I went through the neighborhood looking to see if he belonged to someone. No one looked for him, asked for him….nothing. I wasn’t looking for another fur baby, but I guess he was looking for a family. As I was packing the truck the night before he stayed as if he knew what was going on. The very next morning the girls and I got onto the truck. As he watched me with those little green eyes of his, I opened the door and asked him if he wanted to come – He jumped right in the front seat and didn’t care one bit, all he cared was that he had found a family, finally a place to call home. I always think people meet for a reason, well the same applies to animals. We never know why paths cross just that it is something meant to be. But I tell you this little dog came to me at a moment I wasn’t feeling well, I was stressed with family matters and he just let me care for him. As the girls and I were driving back, I realized that he needed a name. Little-Man was a thought but this didn’t fit for someone who is small, feisty, sweet, caring and loving soul. He came from a farm country place so I wanted to give a name that would fit him, I threw some names out there but the one he liked was “RAILAN” Railan Russo. We drove twenty-two straight hours and he did well on the return trip. Most importantly the girls were good with him and he was a gentleman with the girls. February 10th arrived quickly and we arrived at the Pre-Westminster fashion show in New York City, organized by Ada Nieves. Penny-Lane and Lily-Pads were modeling Kiki Hamann’s designs. Now Railan, a new member of the family got into the act. Kiki Hamann gave him a black and white blinged harness, but it wasn’t just a harness, it looked like a tuxedo shirt and amazingly it matched the girls beautiful venetian-styled gowns. For Railan’s first exposure to our crazy life, he did very well. 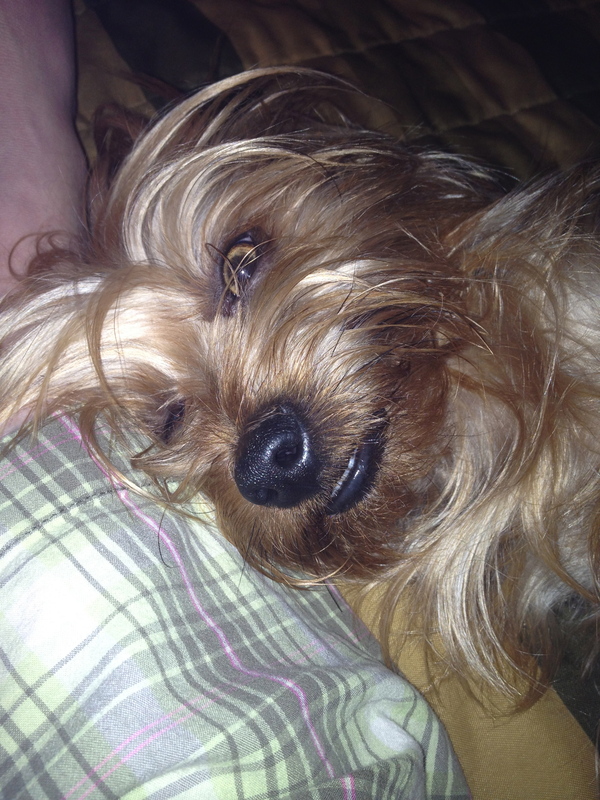 Railan has become very good around people and other fur babies. 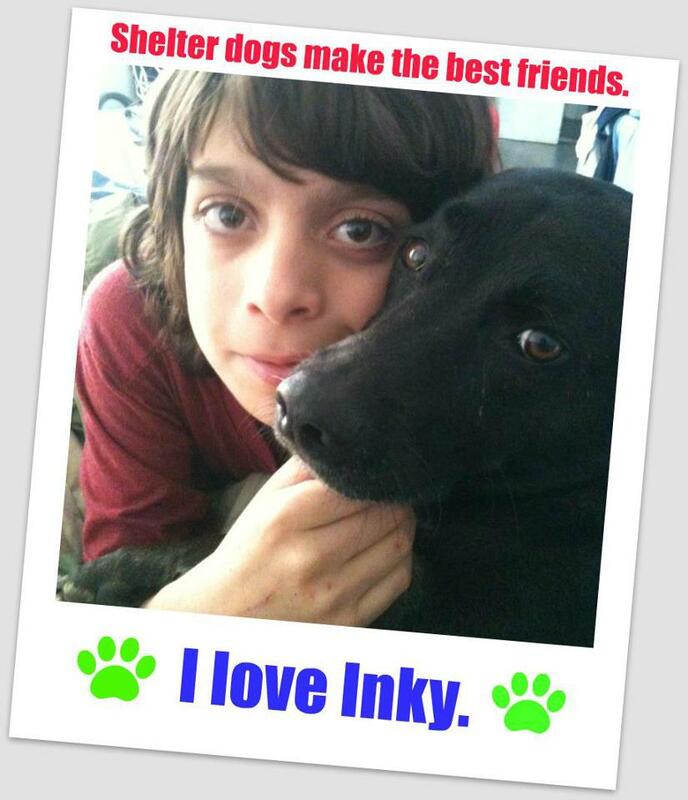 Penny-Lane and Lily-Pads have shown him how to interact and be calm around other fur babies. He still looks for me and wants to be around me almost like a security blanket. I have had people ask me if I am looking to place him. I tell people he is not ready yet, for now he is a Little Russo. Railan is a long hair silk terrier, approximately between 1 and 2 years of age, with a great personality. He learns quickly and wants to please. He is affectionate and loves to hang and sunbathe with Penny-Lane and Lily-Pads. He would make a great addition to any family and has brought some new life to ours. Thank you Rose for this beautiful story. Your life-story and work on behalf of our dogs epitomizes the true mission of National Dog Week! Kids Adopt a Shelter and a Great Attitude! HAPPY SPRING! TODAY IS THE DAY FOR THE NATION-WIDE KIDS ADOPT A SHELTER SPRING DRIVE! FOLLOW LINKS BELOW TO PARTICIPATE. IF YOU CAN’T HELP TODAY, YOUR SUPPLIES ARE ALWAYS NEEDED. For me, nothing is more inspiring than images and words that highlight the bond between children and their pets. As many already know, this blog was started as a place where I could build interest in something I called the National Dog Week Project and the book I am writing about its Founder, Will Judy. Although Judy was an accomplished lawyer and publisher, later in life he began to grapple with the more spiritual side of pet ownership (ownership was the word of the day in his time), focusing primarily on the canine-human bond. Clearly, his early training in the ministry was influencing his writing and approach. He spoke to the heart of all dog-lovers; men, women and children, firmly believing that through the act of caring for pets, children became more compassionate and responsible. He viewed pet ownership as a young person’s training for parenthood in many ways. I would also add volunteerism. Given the chance and encouragement, most kids are only too eager to donate their time and energy to a cause they care about. Some are coached by caring parents and others just seem to come to it naturally. Such was the case with a young man named Sean Martin who came to my attention through his Facebook Page and mission, Kids Adopt a Shelter. I contacted Sean and his mom, Melanie, and told them about National Dog Week and how Sean’s work epitomizes its spirit. Sean is an eleven- year old actor with his most recent role in the “dog-biz” centering on his involvement with his Kids Adopt a Shelter Cause launched on Facebook. Sean’s mission began when he and his friends gathered up a lot of “stuff” on the occasion of his parent’s Halloween Party. Not happy with his results, Sean resolved to scare up “tons of stuff for Christmas,” that he would donate to the Little Shelter in Huntington, New York. His efforts were well rewarded. On December 23, 2011, Sean and his parents loaded their Jeep and delivered over $1,000 in donations. But this ambitious kid with a big heart did not stop here. Sean decided he would get other kids just like him all over the nation to join him in his efforts…and Kids Adopt a Shelter was born! Sean set out to see that every state of the nation was represented, with the hopes that in the future he would have a rep in each town in each state. With 2,584 Likes currently on their page, I think that he and fellow page administrators, Zac Posner are on the right track. Right now Sean and Zac are busy working on their Kids Adopt a Shelter SPRING 2012 DRIVE, an event scheduled for Tuesday, March 20 from 9:00am to 8:00pm. In some cases, they will even try to pick up your donations on your doorstep. This ‘aint your Snookie’s Jersey Shore…. UPDATE (March 9): Here is an update regarding the status of puppy retail shops in Brick, New Jersey (and perhaps beyond) http://www.meetup.com/FAUNNJ/events/55574322/ See February 9 post. I thank BP for taking a chance on a good story that is quiet and quirky while being ABOUT something. It doesn’t feature those ever-popular vampires, werewolves or even wizards, but there is a nice paranormal theme that is central to the story. But it does offer so much more. 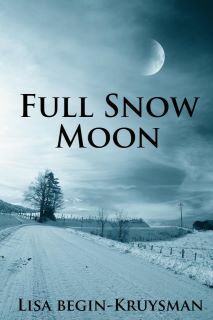 Although FULL SNOW MOON is classified as a book for Young Adults, it is a story that can be appreciated by any age group. If you live in New Jersey, for instance, you will appreciate the fact that it depicts the Jersey Shore region far differently than MTV’s Jersey Shore “Reality” TV show. If you are a fan of obscure tales of American History, love Storm of the Century stories or a great testament to the power of friendship, then you will take something away after reading this book. As we promote FULL SNOW MOON, I have just completed a second draft of a manuscript for a fascinating Non-Fiction project that I am developing with my agent. This is a story I have been working on for years with the help of a family member of one of the story’s major players. And let’s not forget the book to which I dedicate this blog and a portion of each day. The new working title for Every Dog has its Week is now The Legacy of William Lewis Judy and his National Dog Week Movement. Although it remains primarily about dogs, Will Judy was a prolific writer who explored many topics on human nature, too, equally concerned about the welfare of the spiritual beings on both ends of the leash. This book will be released by McFarland & Company in 2013. I hope you can join me on Sunday, March 11th at an event that we have created on Facebook called FULL SNOW MOON SNOW-DOWN, which will be a virtual book party. You will be able to see it in progress if you stop by my Facebook page between 5:00 and 8:00pm that evening. Pour yourself a hot beverage of choice and settle in for some fun of historic proportions on the anniversary of the diabolical Blizzard of 1888! Remember, if you like what you read, always help an author by reviewing their work on the sales pages of Amazon and Barnes & Noble. I thank all who have. My Next blog post will bring it back to the dogs with a feature about Sean Posner and a special event he is organizing for Kids Adopt a Shelter.